Once again, The Fish Bar, Crewe, Cheshire has been awarded a 5 Star Food Hygiene Rating. We are delighted that both our Shop ( Sunnybank Road ) and Mobile operation meet the highest accolade available from the Food Standards Agency. It has been awarded in recognition of our kitchen, cooked products, food display conditions, working practices, staff attitude, performance and staff training. How did we receive this 5 Star Food Hygiene Rating? 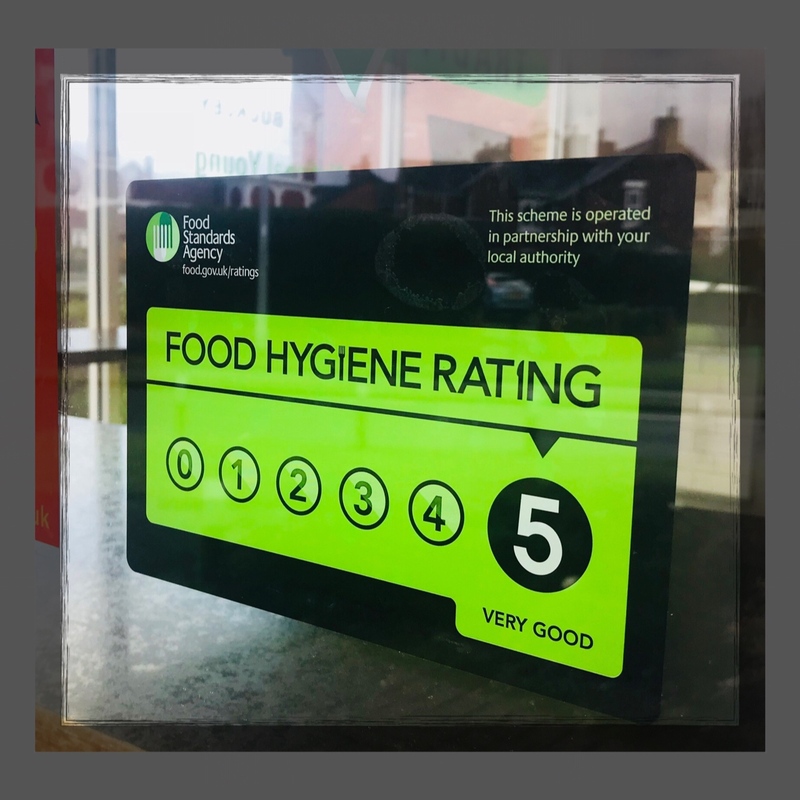 We work hard to adhere to, and surpass, the standards dictated by the Food Standards Agency, and are incredibly proud of the results of our latest assessment. We think you’ll be surprised if you looked at what lots of other fish and chip shops achieve on these scores locally. We are once again displaying our 5 Star Food Hygiene Rating sticker prominently in our shop window! To see the rating on the official food standards agency please click the following links.. Thanks for everyones continued support.